Rebecca Wicklin thought she was taking on just another school project, when she was selected for the Normandy: Sacrifice for Freedom Albert H. Small Student & Teacher Institute. Instead, she’s learned life lessons from World War II Army Capt. Philip Edelen and traveled to France to deliver his eulogy, after months of studying the Raleigh chaplain’s life and sacrifice on the front lines in 1944. 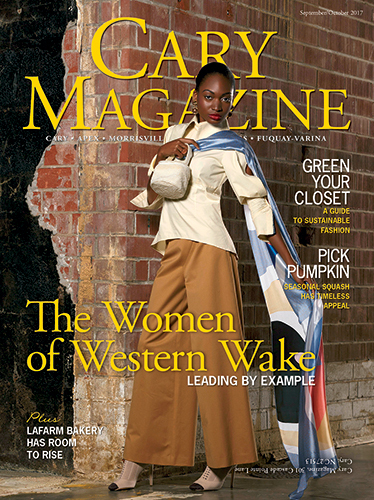 “We stood on Omaha Beach as the tide was coming in, and I imagined our troops in the waves,” said Rebecca, a 2017 Cary Magazine Notable Teen. “It was so powerful, seeing the places where our soldiers died. “I was most struck by the Normandy American Cemetery. When you enter, you look out at a sea of white crosses and headstones, and it overwhelms you,” she said. “You realize they are not just a name or a number. Cary Magazine 2017 Notable Teen Rebecca Wicklin of Cary and teacher Paul Gauthier visited the Normandy American Cemetery in France this summer, to honor World War II Army Capt. Philip Edelen, pictured left. 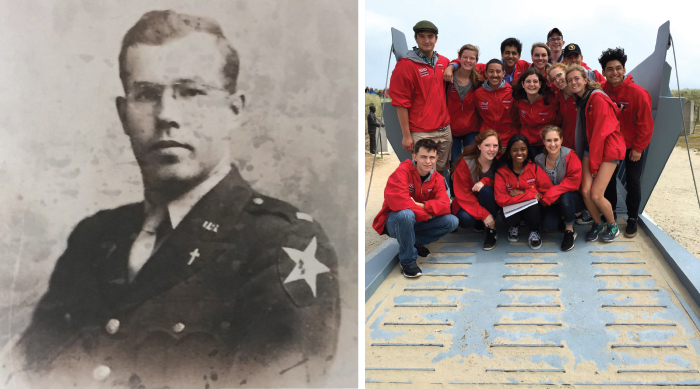 The trip followed a year of study on Edelen, as one of 15 student-teacher pairs taking part in the Normandy: Sacrifice for Freedom Albert H. Small Student & Teacher Institute. Rebecca stood beside the grave of her Silent Hero during the June trip, to offer a public eulogy. Now a junior at Cardinal Gibbons High School, Rebecca and her former teacher, Paul Gauthier of St. Michael the Archangel Catholic School in Cary, were among 15 student-teacher pairs selected nationwide to participate in the institute. They are now working on a website to launch this fall, for use in presenting Edelen’s story to local schools and groups.